Will primary night results carry into runoffs? Not necessarily, political observers say. A recent change in election law has prompted Texas to extend the time between primaries and runoffs. March 4 is a night David Dewhurst might want to forget. The lieutenant governor, looking to defend his seat on primary night, drew just 28 percent of the vote — 13 percentage points fewer than state Sen. Dan Patrick, his top challenger. Because none of the four GOP primary candidates for lieutenant governor brought in more than 50 percent of the vote, Dewhurst's re-election hopes will live on through a May runoff election. Now, the key questions in that race — and several other primary runoffs — are about how the candidates and Republican voters will respond to the primary night results. Will Patrick’s “walloping” of Dewhurst — and the results in other primary races — carry into the runoffs? Not necessarily, political strategists and fundraisers say. 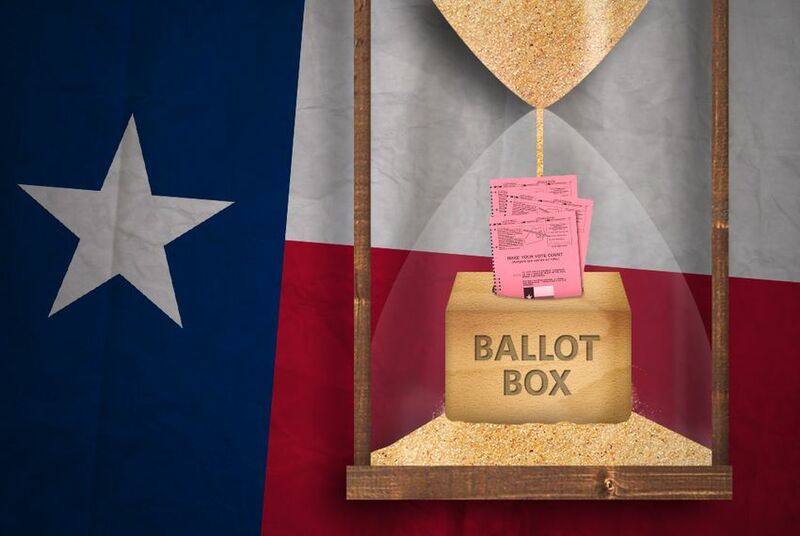 That’s in part because of a recent change to federal law that prompted Texas to add time between primary night and runoff elections, giving candidates time to reset their campaigns. Wednesday is the deadline for candidates to strike their names from the runoff ballot or stay in for the fight. For primary night runners-up who are still weighing whether to continue to round two, that additional time might factor into the decision. A runoff, regardless of when it is held, gives a second-place candidate a chance to nab support from voters who backed an opponent in the first round. That provides hope that round two might be different. But the usual quick turnaround between those elections has made strategizing difficult, political consultants say. Now, with extra time, candidates have more options for fundraising, messaging and drumming up new grassroots support. In years past, Texas held runoff elections just six weeks after the first ballot. State lawmakers doubled that gap after Congress passed the 2010 Military and Overseas Voter Empowerment (MOVE) Act. That law requires all states to provide absentee ballots electronically to military personnel and to Americans living abroad no later than 45 days before any election that includes a federal race. This is not the first time that the MOVE Act has shaped the state’s election calendar — or impacted a Dewhurst campaign. It also applied in 2012, when Ted Cruz overcame a 10-point first-round deficit, crushing Dewhurst in a runoff for the U.S. Senate nomination. Political observers say the longer runoff period played a role in that race, but other factors obscured its impact. Along with the MOVE Act change, Texas’ redistricting battle pushed the first round of voting to May, leaving the runoff to wait until July. Comparing the MOVE Act’s impact on the 2012 race with the current year is “apples to oranges,” said Susan Lilly, a Republican fundraiser who is working on the state attorney general campaign of state Rep. Dan Branch, R-Dallas. Branch is also headed to a runoff after finishing behind state Sen. Ken Paxton, R-McKinney. This year will likely give Texans their first clear picture of how the MOVE Act will factor in a runoff. As Lilly sees it, “more time gives more opportunity,” to the primary night runners-up. That possibility, however, wasn’t enough to convince every runner-up to stick around. State Rep. Harvey Hilderbran, R-Kerrville, ended his bid for Texas comptroller after state Sen. Glenn Hegar, R-Katy, finished a hair shy of the 50 percent of votes needed to win outright. Craig Murphy, a Republican consultant who has worked on Attorney General Greg Abbott’s campaign for governor, said that hopefuls in local races — those running for state House and Senate — might feel the biggest effects of the extra time because those candidates, unlike those higher up on the ballot, rely more on door-to-door fundraising than on large, single donors. “If it’s just a monthlong runoff, you’re not going to get many houses knocked, but if you have this much time, you can,” he said. Another question is how registered voters, who have not been particularly excited in recent years, will respond. Will the additional time sap Texans' enthusiasm, or will it allow for better campaign organization that could stir more enthusiasm? Those answers won't come until May 27, said Mark Lehman, who runs the political action committees affiliated with the Texas Association of Realtors.